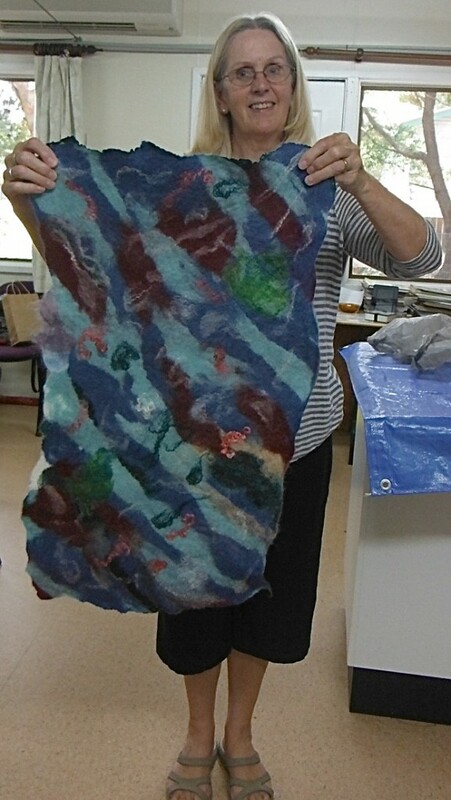 Janet and her hubby called in one Thursday and found us felting. She loved the look of it and being a very crafty lady, decided she would like to try. Off they went to continue their holiday and back to the coast, and with a phone call her felting day was organised. Janet was so happy with her day and what she learnt to take back to her group in England. 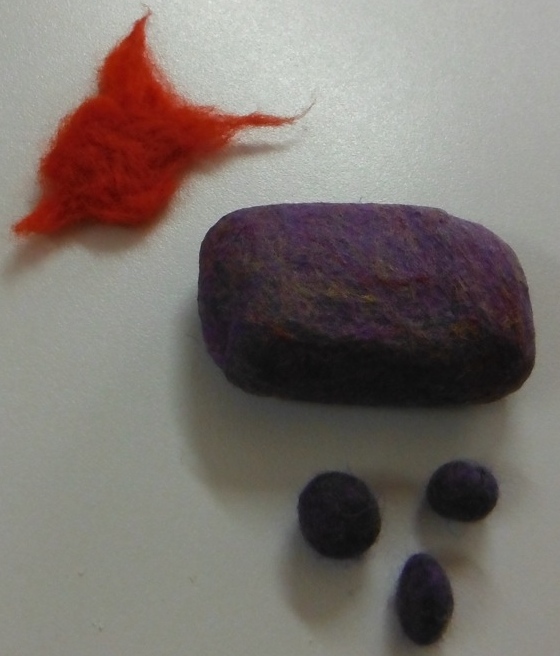 Janet did wet felting, felted soaps and a little needle felted fish. She was a lovely guest for the day and a fun time was had by all. By Lyn A.